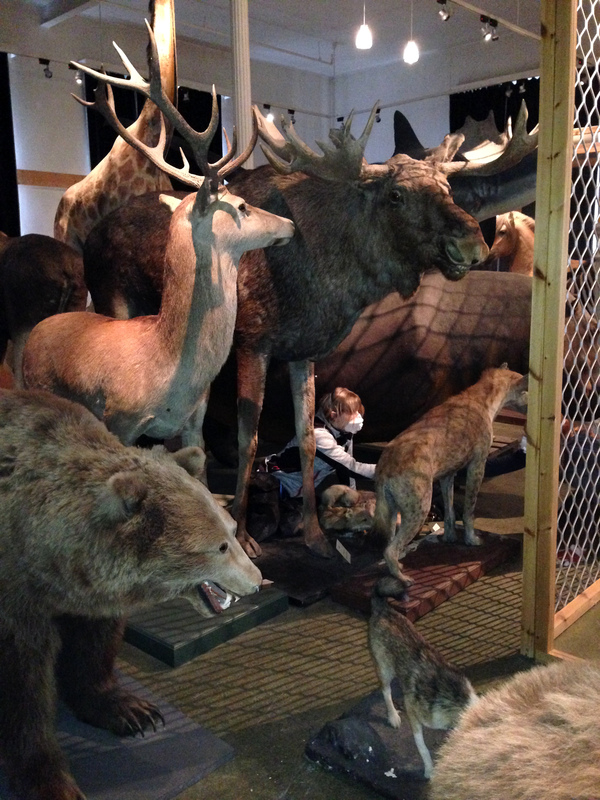 The moving team is almost finished empting the second floor of the Natural History Museum. The last few moves have been interesting in terms of moving larger objects. The old elevator in the building only takes one standard EU pallet and anything that can’t fit on a pallet must find an alternative way out. Consequently, all the remaining objects were measured to determine their future journey. 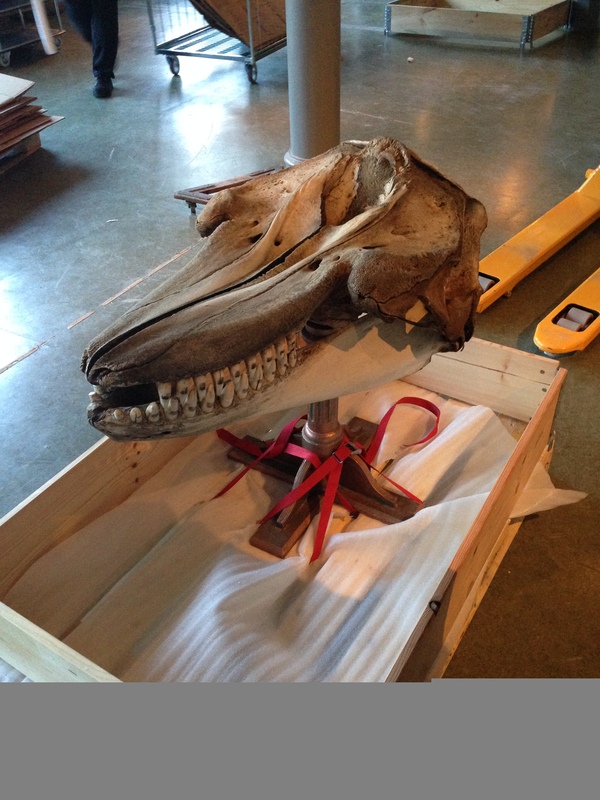 Here are some snapshots of the documentation and packing of the more challenging objects. Some of the large objects. 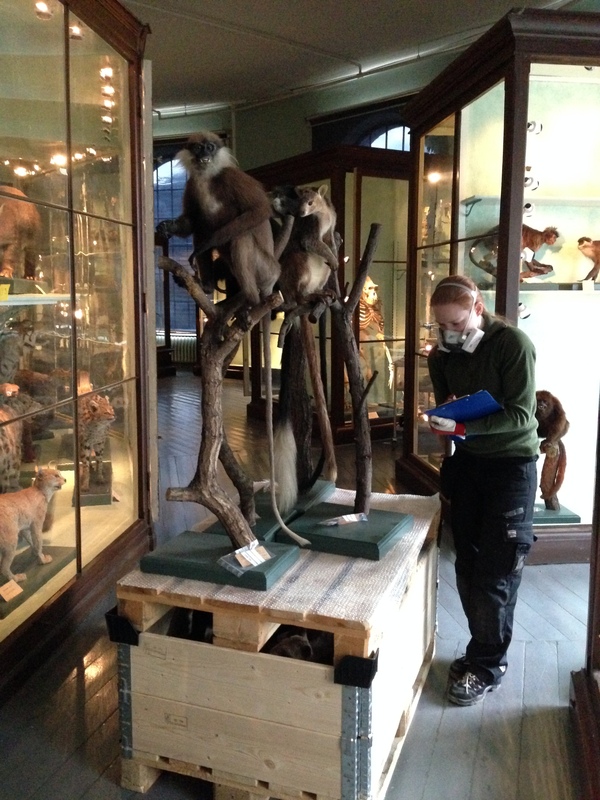 Spot the conservator! Center of gravity is sometimes an issue. These guys just made the EU standard. Some objects are very heavy. Like this Orca skull on a metal pedestal. Light weight model of swordfish got carried down the stairs. 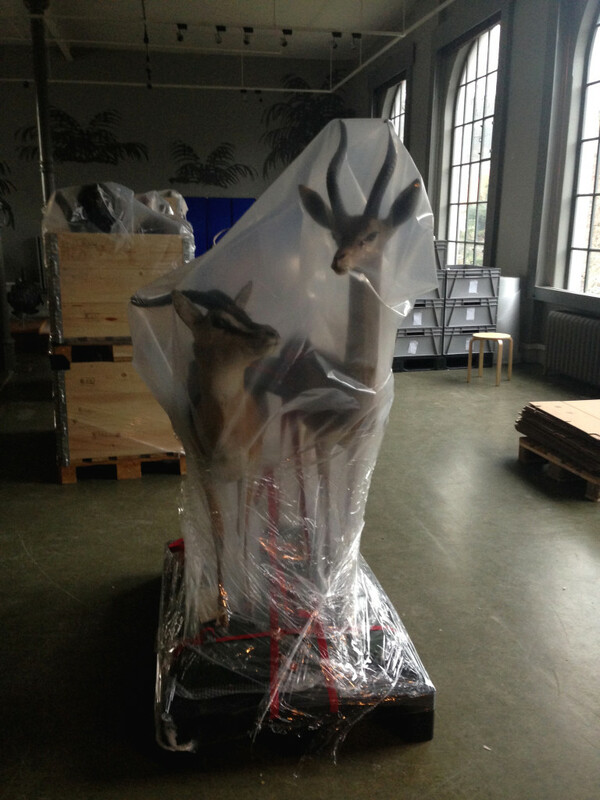 These gazelles are packed and ready to move. 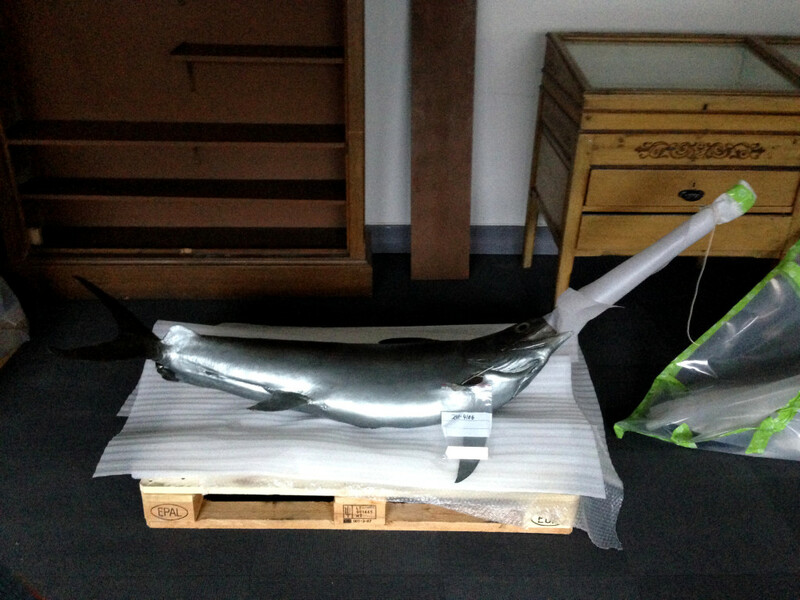 Next month we will be moving the pest infested objects at the Cultural History Museum. 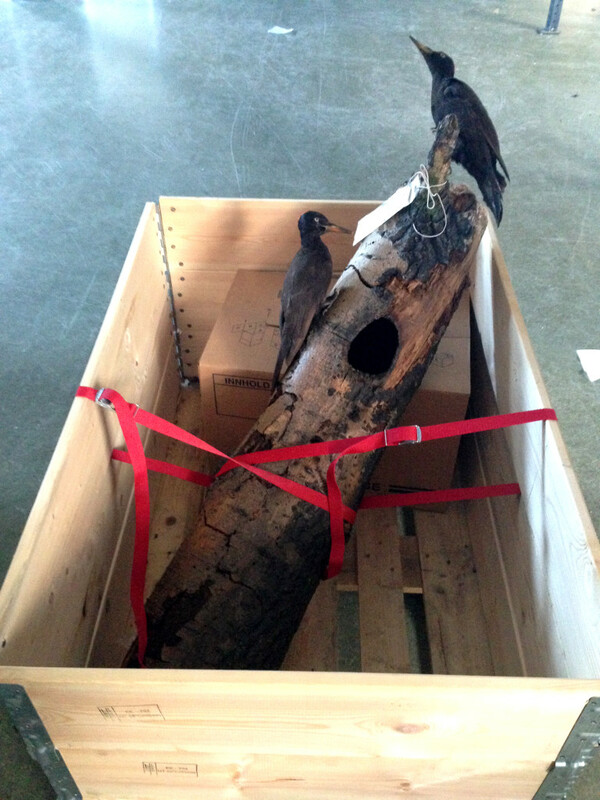 This must be done before the beetles leave the wooden objects and fly off, spreading to other parts of the museum.